Creatine is a nitrogenous organic acid that helps supply energy to cells throughout the body (partic. muscle cells). We can find it naturally in red meat and fish. It is also made by your body. Some evidence suggests that it might prevent skin aging, treat muscle diseases, help people with multiple sclerosis, enhance cognitive ability, and more. Here are some key points about creatine. Athletes use creatine to assist in high-intensity training. It can cause body mass increase. Creatine is being studied for use in a number of diseases including Parkinson’s disease and depression. Because creatine helps build muscle, it may be useful for individuals with muscular dystrophy. Creatine appears to be safe in moderate doses, but long-term safety has not been proven. There is some evidence that creatine can boost memory. Around 95 percent of creatine in the human body is stored in skeletal muscle, and 5 percent is in the brain. According to the U.S. National Library of Medicine, creatine does not build muscle. The increase in body mass occurs because creatine causes the muscles to hold water. 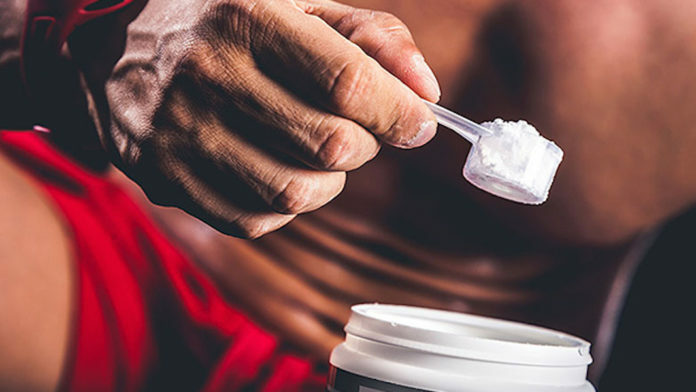 Research suggests that creatine supplements may help prevent muscle damage and enhance the recovery process after an athlete has experienced an injury. Creatine may also have an antioxidant effect after an intense session of resistance training. In South Korea, 52 women with depression added a 5-gram creatine supplement to their daily antidepressant. They experienced improvements in their symptoms as early as 2 weeks, and the improvement continued up to weeks 4 and 8. Twelve studies involving 266 people were included in the review. When the results were combined, taking creatine, either short-term or long-term, was found to improve muscle strength by an average of 8.5% among patients with various types of muscular dystrophy. There is some concern that it could harm the kidney, liver, or heart function. However, a connection between high doses and these negative effects has not been proven. Creatine can also cause stomach pain, nausea, diarrhea, and muscle cramping. Creatine causes muscles to draw water from the rest of your body. Be sure to drink extra water to make up for this. Protein Shake Before or After a Workout?